UKRNIC Review 2019: Is UKRNIC a Good Hosting? UKRNIC is not only a web hosting company, but also Ukraine’s official domain registrar. Ukrainian company UKRNIC has been offering internet services since the year 2000. As well as being the official domain registrar in Ukraine, it focuses on the provision of shared hosting services and domain name registration services to clients in Ukraine and other countries around the world. 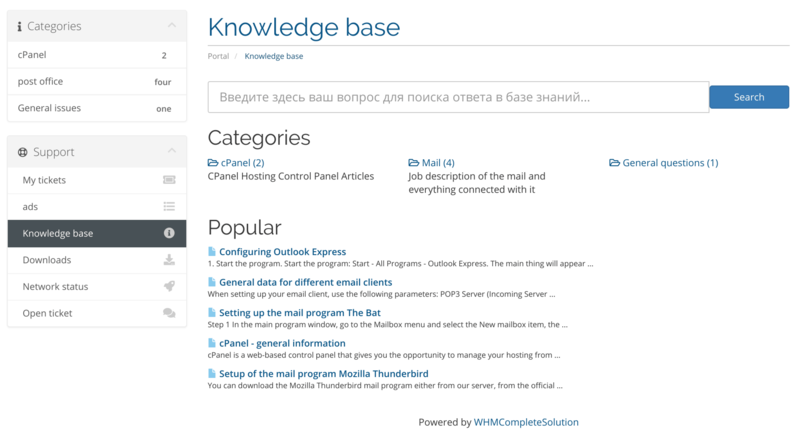 UKRNIC’s main website is in Russian, but (as with many other web hosting providers) its WHMCompleteSolution-powered purchase and support pages can be translated into several additional languages. The basic Mini package is ideal for small enterprises. It includes 1 GB disk space, 10 subdomains, 3 MySQL databases, 2 FTP accounts, and unlimited mail accounts. At the other end of the scale, the premium Expert package comes with 30 GB disk space, unlimited FTP accounts, unlimited MySQL databases, unlimited subdomains, and unlimited mail accounts. All hosting plans include backup services to guard your data against disaster. UKRNIC does not offer SSL certificates, not even as an add-on package, so you’ll need to make separate provision for SSL security. UKRNIC’s shared hosting plans are reasonably priced, and you get a free domain when you purchase an annual plan. Other billing cycles are monthly and half-yearly. There is no advertised uptime guarantee and no money-back guarantee. You can contact UKRNIC’s technical support team via email, ticketing system, and telephone, but not by live chat, and the support is not 24/7. Unfortunately, my email to the support team went unanswered. For self-support, there is an FAQ page containing just 11 entries and a knowledge base containing only seven articles. UKRNIC’s hosting solutions are designed to meet the needs of small and medium-sized Ukrainian businesses. Its main selling point may be its status as Ukraine’s official domain registrar. Get hosted by Ukraine’s official domain registrar. Wondering how UKRNIC stacks up against other Web Hosting companies? Enter any other Web Hosting company and we will give you a side-by-side comparison.